"Chabad Hebrew School" will take place every Sunday for the duration of the 2017 - 2018 scholastic year. Please post this in a prominent location such as your refrigerator and refer to it for schedule information. Kick off the new month by joining our Monthly Minyan for a dose of uplifting prayer and Torah inspiration! Services at 10:00 am followed by Kiddush at 12:30 pm. Communal Shabbat Morning Service with some new and traditional tunes, as well as some weekly Torah thoughts! 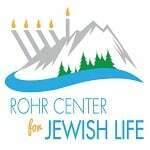 Joyous song-filled Shabbat services and inspiring Torah discussion!